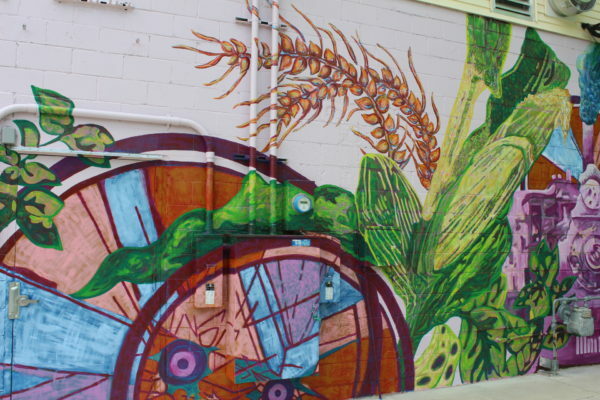 This family-friendly project on the back of the St. Mane Theatre happened in conjunction with a grant that Lanesboro Arts received from the National Association of Realtors for placemaking in support of Surprise Sculpture, a youth program offering artistic exploration and construction site-specific sculptures for public spaces, as well as support from the Southern Minnesota Initiative Foundation. 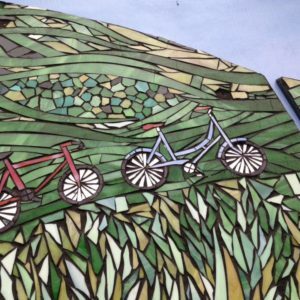 Projects range from large wire spider webs in the bluffs to drawings in vacant storefront windows to an enormous dragonfly made out of upcycled and recycled materials. 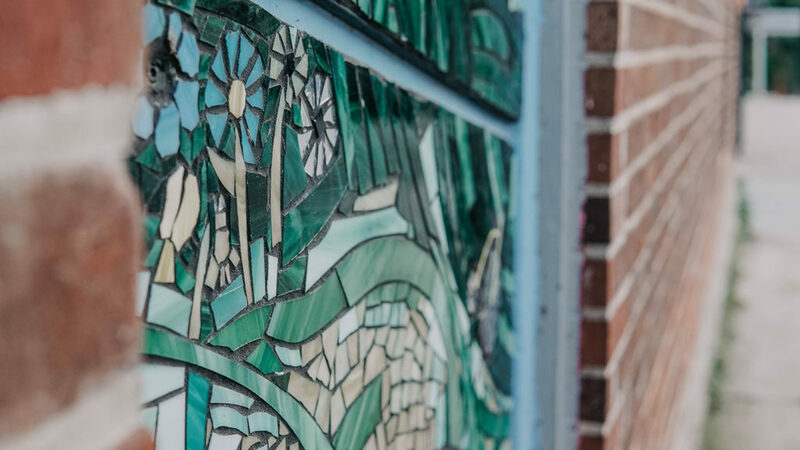 Surprise Sculpture aims to increase the beauty of overlooked places in the community, encourage walkability, and foster public interaction. 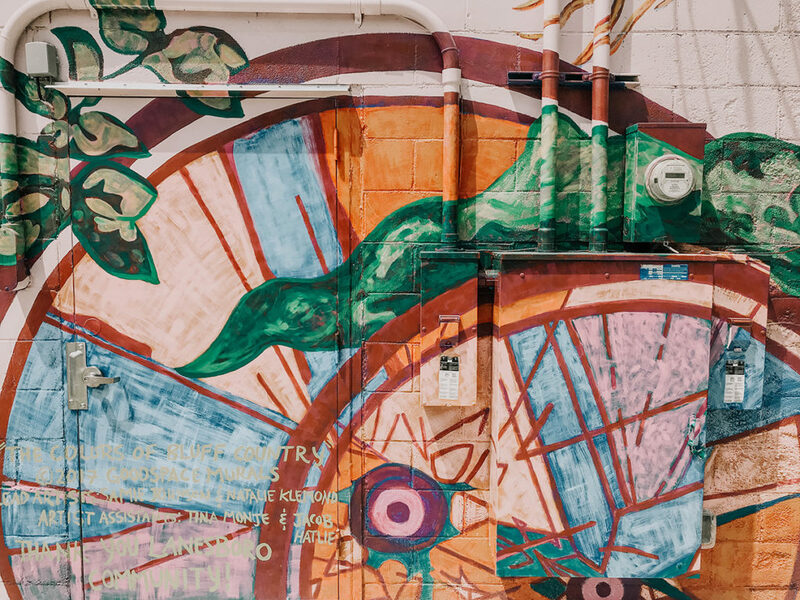 Ideas for the mural were brainstormed by community members and Surprise Sculpture students in March of 2017 and was painted by community members with the help of GoodSpace Murals, a Minneapolis-based artist collective. 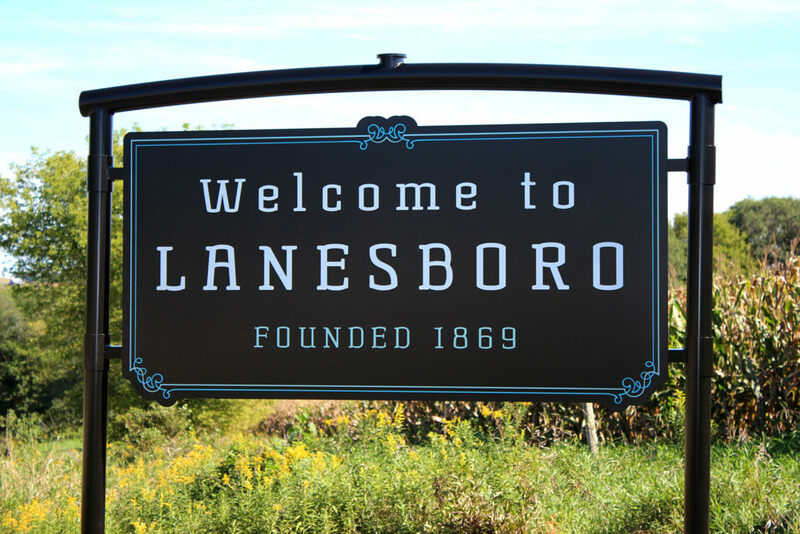 “Lanesboro Arts is thrilled to be collaborating with an established arts and culture organization. 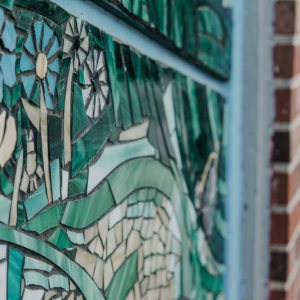 They were easily able to take the many designs community members had proposed and unify them into one impactful work of art,” said Kara Maloney, Surprise Sculpture’s Educational Lead. 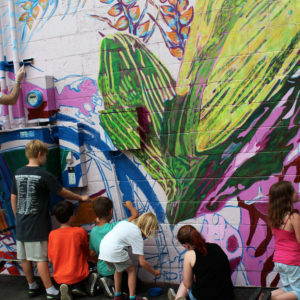 GoodSpace Murals designs large and small-scale exterior paint murals, engages in community collaborated creation processes, and guides participants in processes to connect communities through artistic creation. 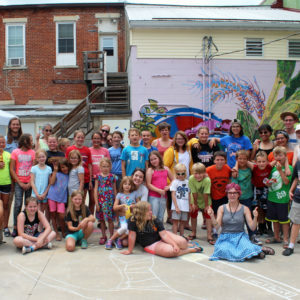 The mural is the fifth community engagement public art project in Lanesboro, following the 2001/2011 Bronze Medallion Tour, 2005 Theatre Construction Wall Mural, 2014 Lanesboro Library Mural, and the 2014 Haiku Poetry Parking Lot. 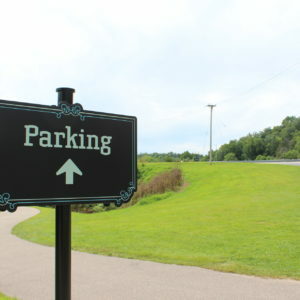 The St. Mane renovation project was completed in the summer of 2014. 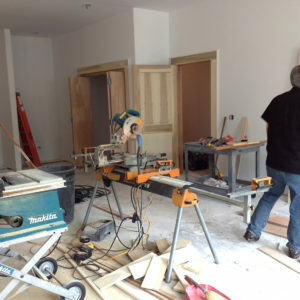 Air quality was improved with basement/foundation repairs, and the second floor was renovated for an artist-in-residence studio and apartment, and performer dressing rooms. 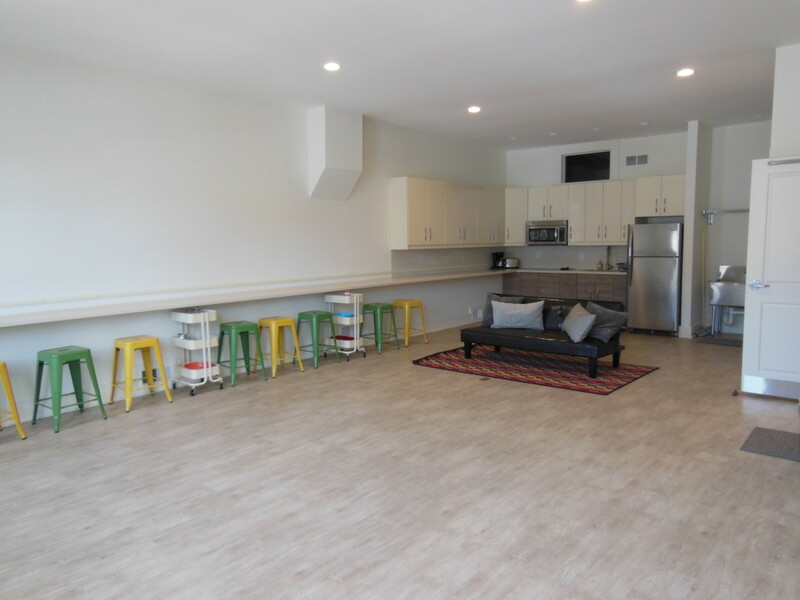 The upstairs studio is now a large open room ideal for classes, meetings, and other events. 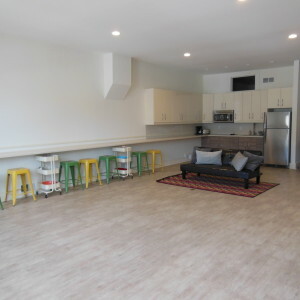 Comfortably accommodating up to 30 people, the space includes a utility sink, a kitchenette (refrigerator, stove, microwave), eight stools along the counter, three 6-foot tables, and 16 folding chairs. 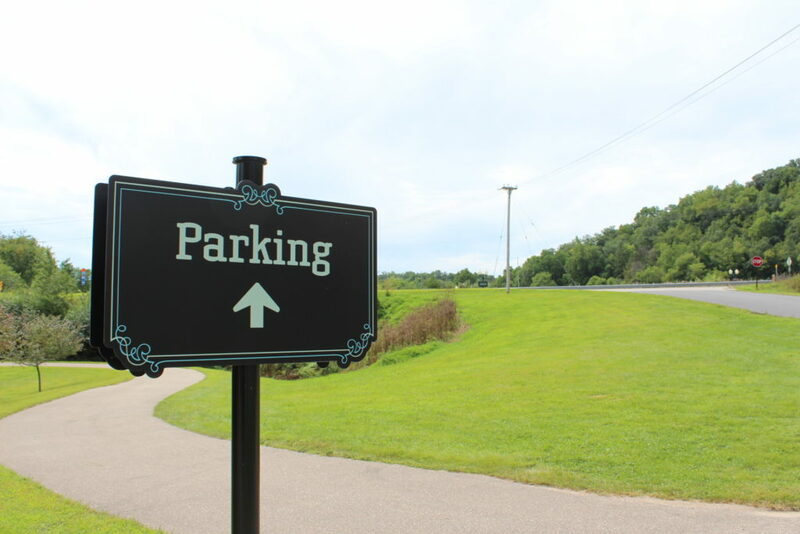 Rental of the Upper Level of the St. Mane is available to the general public, as scheduling and resources allow. 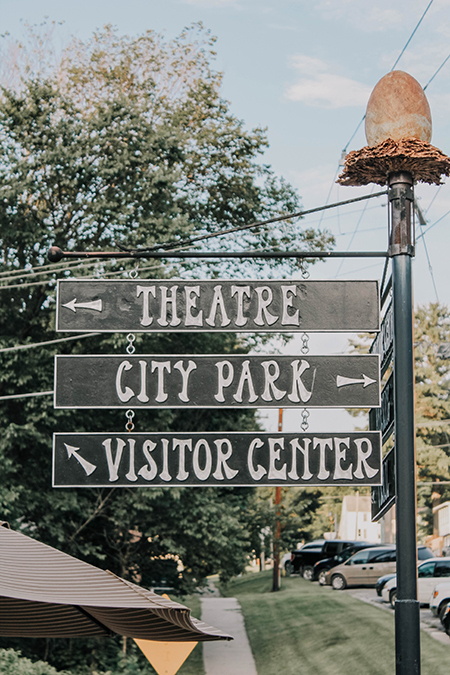 If you are interested in renting the St. Mane Theatre for your event, read more here. 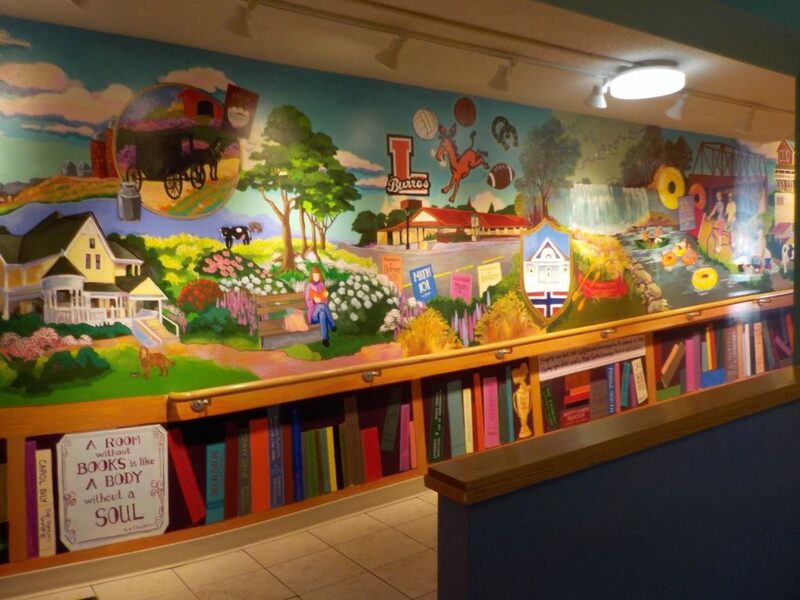 In 2012, the city of Lanesboro renovated the library, leaving a blank wall. 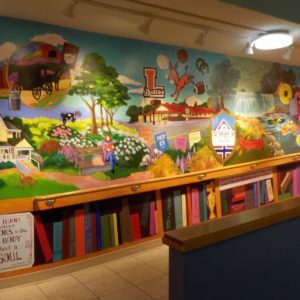 The library received a Southeastern Minnesota Arts Council grant of nearly $7,000 and used additional local money to create a community mural. 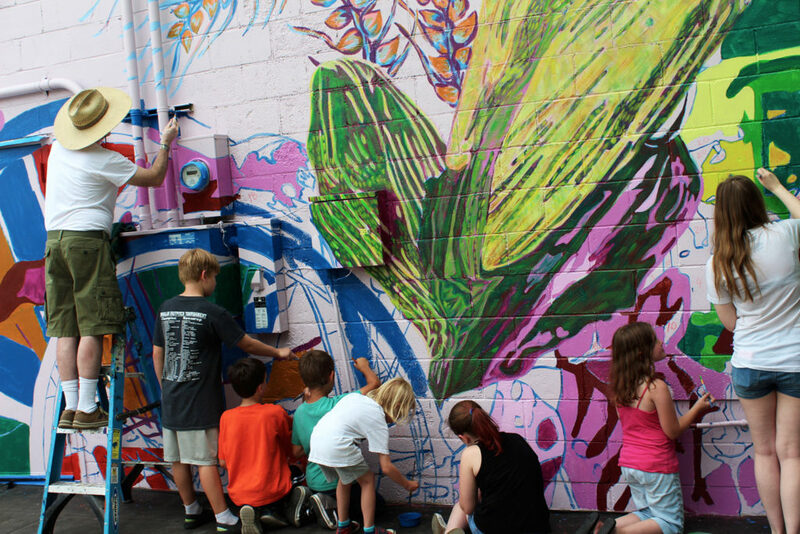 Led by Rochester-based painter Luisa Luis-Grill, community members painted the mural in 2014. 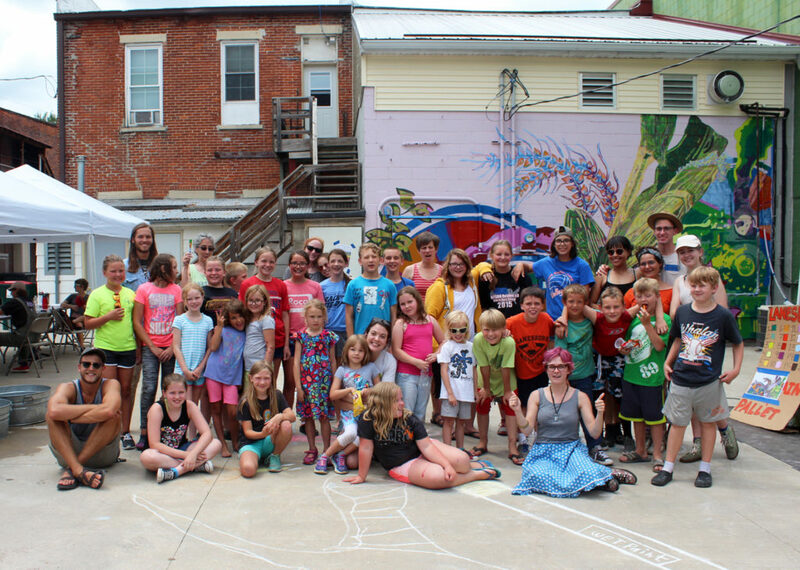 The theme was “Libraries Grow Community.” In preparation for this project, Grill and the Lanesboro Library Board asked for input from the community about what their library means to them and what they’d like to see in a mural and incorporated their suggestions. 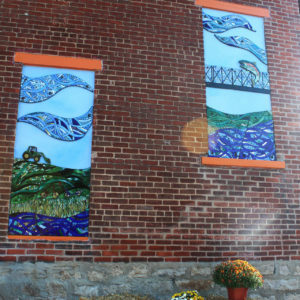 The mural features trout, bald eagles, people canoeing and tubing the Root River, the Coffee Street Bridge, bikers on the Root River Trail, and the local B & Bs. 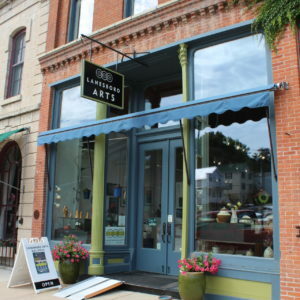 With the help of the Minnesota Historical Society, Lanesboro Arts was able to successfully restore the historic 1879 building façade, add vibrant historic paint colors to grab attention off the street and install grand double doors in the entrance to enhance the gallery experience. 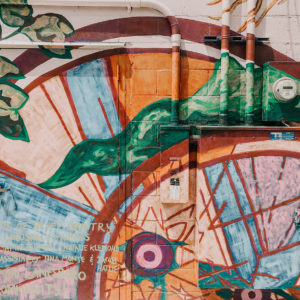 The efforts improved visibility of artists’ work, climate control of the building, and made the space more inviting for visitors. The 2013 restoration included restoring the gallery façade to its original illustriousness, with fully repaired masonry and mortar joints. 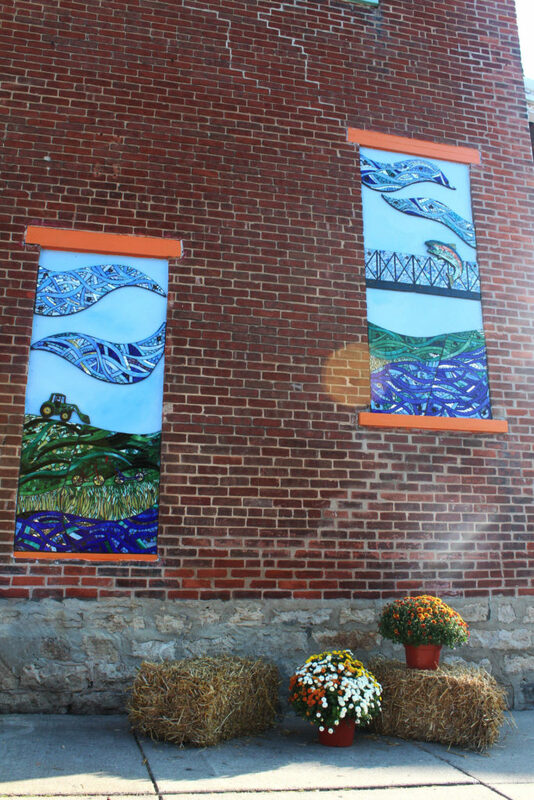 The historic storefront windows were restored, replacing the single pane glazing with insulated glass. 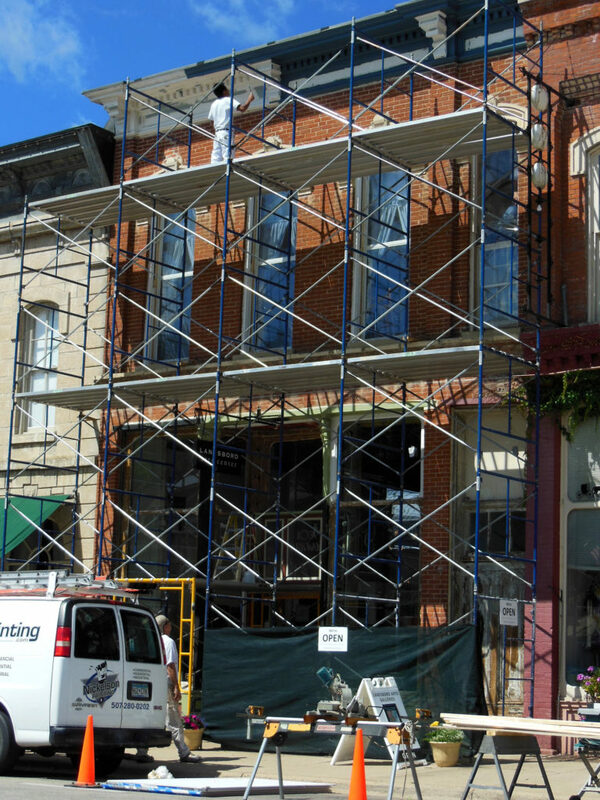 All exterior wood and window surrounds were sanded, primed and painted with historically accurate paint colors. 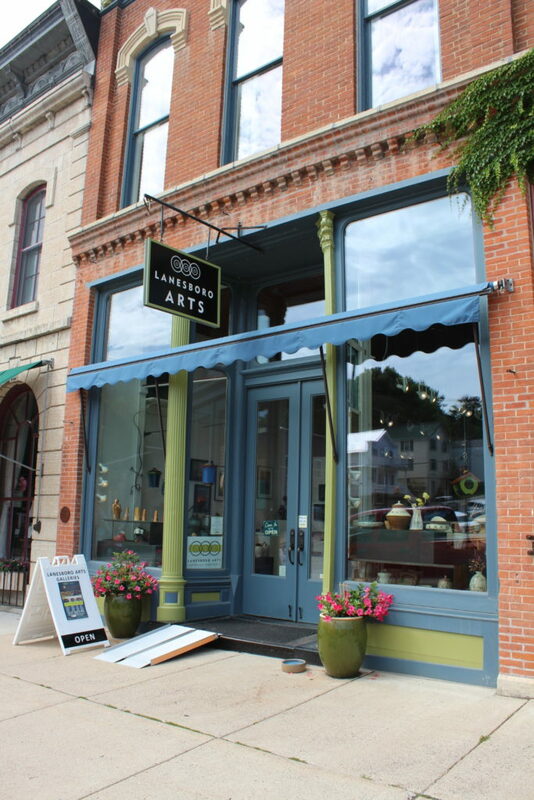 The front door was replaced with a replica of the original full height, glazed double doors. 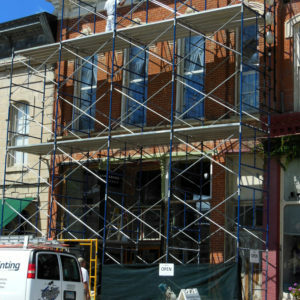 Previously, the failing historic 1879 building façade included the historic storefront windows, as well as portions of brick and mortar allowing interior moisture seepage. 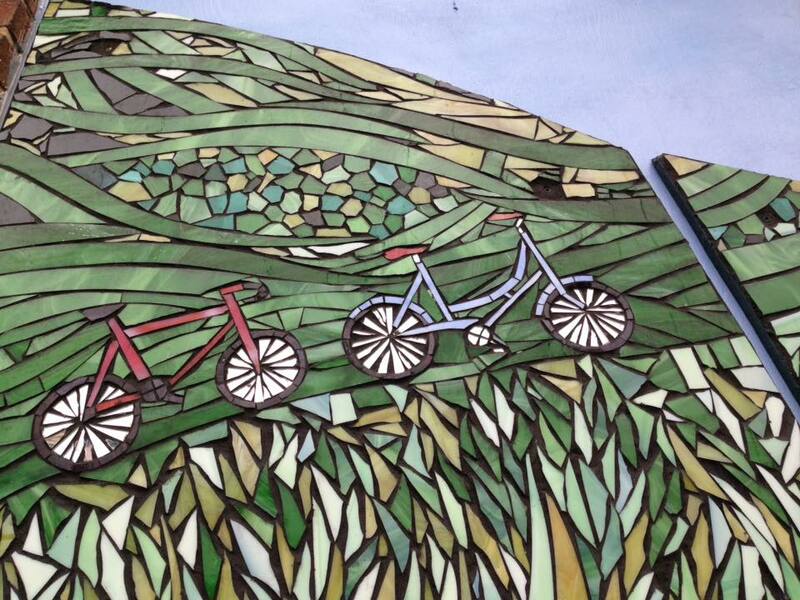 Fully transformed, the restored and properly completed work ensures the integrity of the façade for years to come. 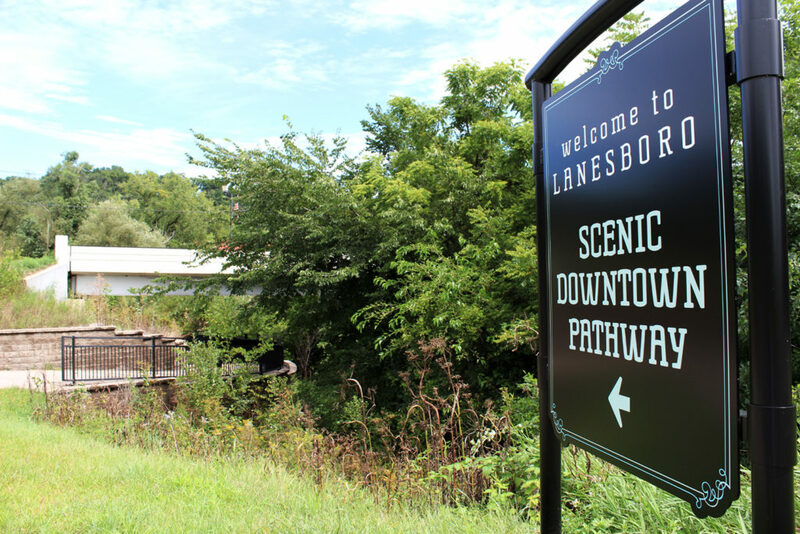 As a facet of the Lanesboro Historic District, the renovation inspired many compliments, as well as sparked neighbors and other building owners in the district to begin their own restoration campaigns. 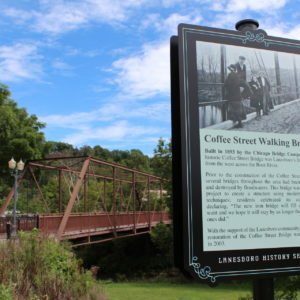 Lanesboro’s walkability was greatly enhanced with the addition of wayfinding and connectivity elements such as artful signage, art experience loops, and the Poetry Parking Lot. 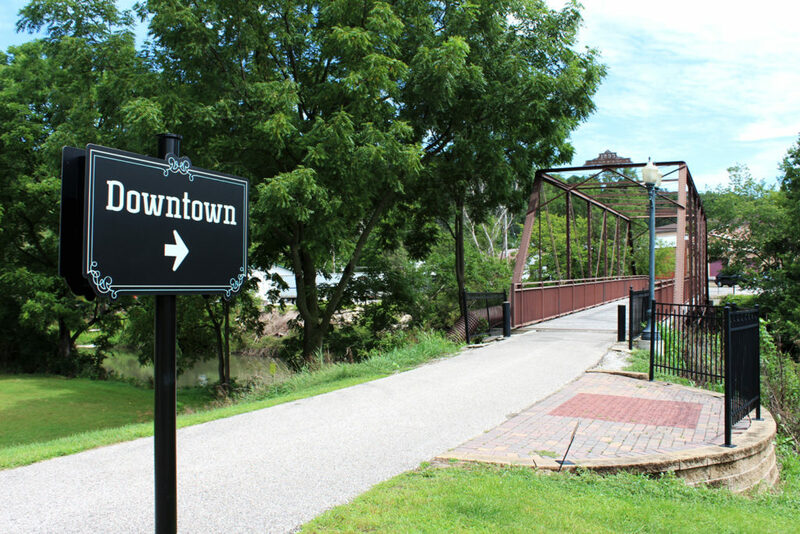 Clear, intuitive pedestrian routes utilized well defined paths to improve route legibility. 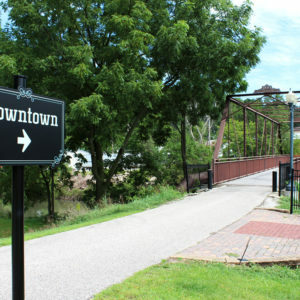 Consistent signage designed by Archetype is seen throughout the downtown, such as the wayfinding signs at the Country Road 8 underpass. 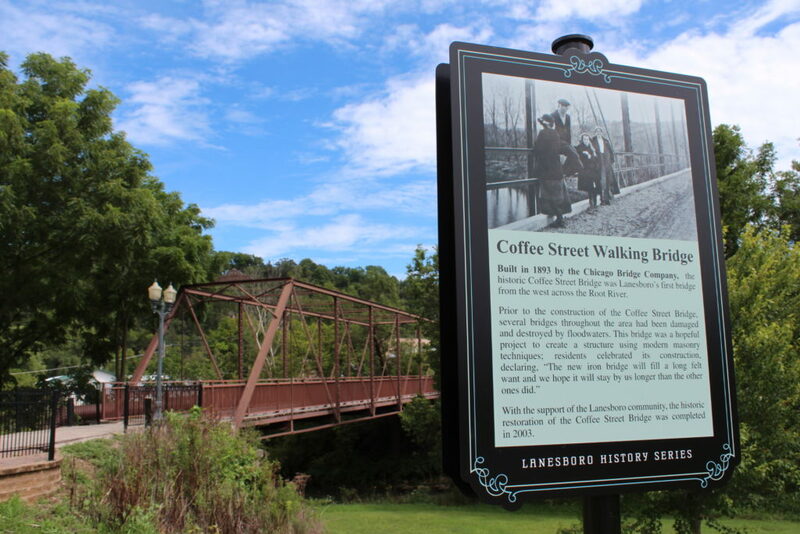 Signage in Gateway Park, the haiku & information kiosk signs at the Poetry Parking Lot, and the Lanesboro History Series sign for the Historic Coffee Street Walking Bridge, also follow the design. 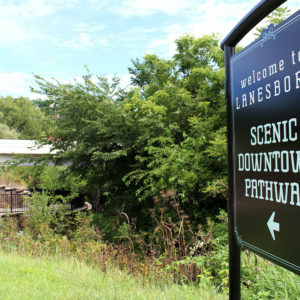 In 2011, signs with sculptural elements designed by local artist Karl Unnasch were added by the city of Lanesboro to improve wayfinding and walkability. 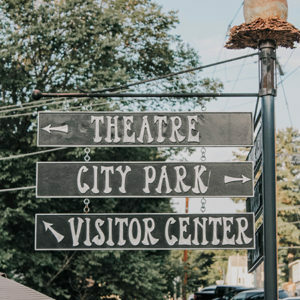 The cast iron and aluminum signs feature symbols of the Egg, Berry, and Nut, and were chosen for their elemental significance to life cycles, nourishment, and natural potential. 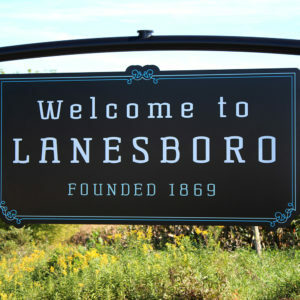 The welcome sign located on County Road 8 follows the uniform design, providing a neighborly welcome to the town of Lanesboro. 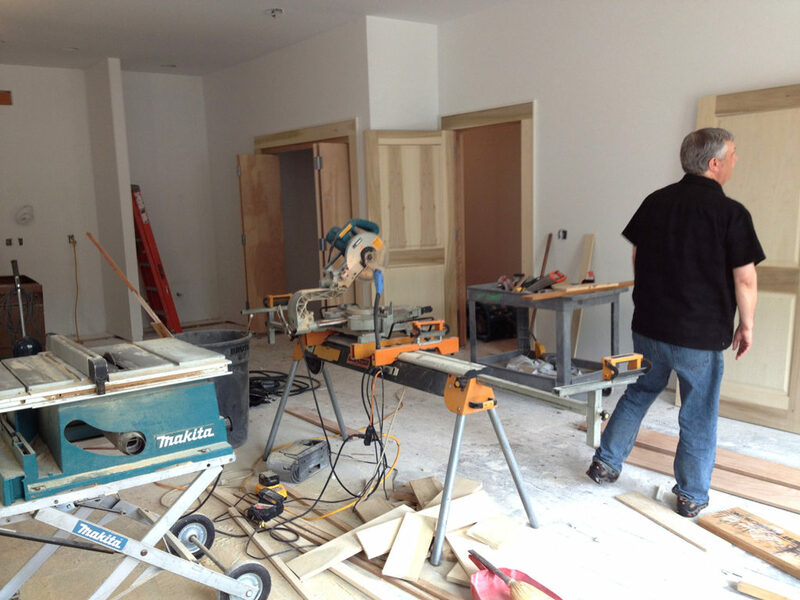 Flexible studio/classroom/meeting space in the St. Mane Theatre Artist Residency Center. 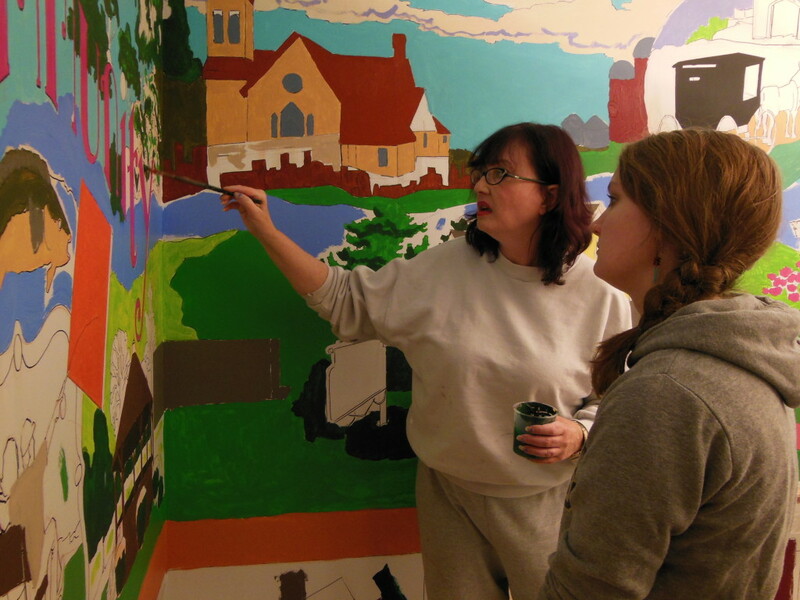 Leisa works on her commissioned community mural at the Lanesboro Public Library.